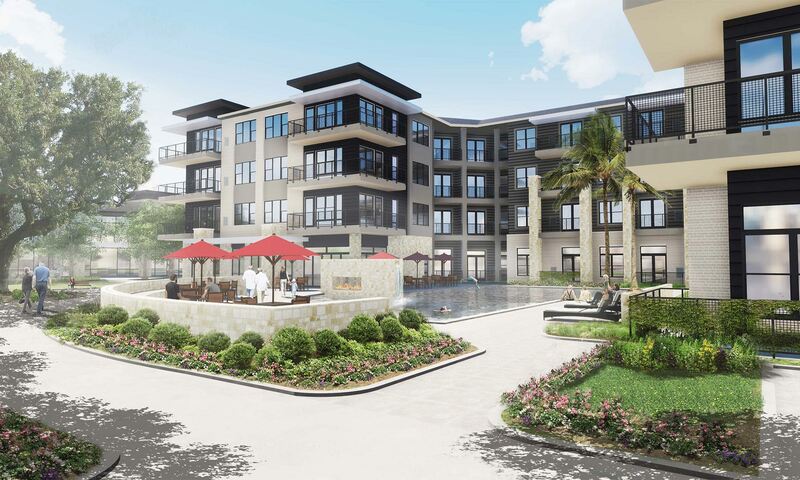 Dallas-based MedCore Partners and Houston-based TNRG have teamed up on a second senior living community that will bring 190 rental units to northeast Houston next summer. The partners broke ground on Fountainwood at Lake Houston on 7 acres on the northeast corner of West Lake Houston Parkway and Will Clayton Parkway. It will contain 98 independent living, 68 assisted living and 24 memory care apartments. MedCore Partners and TNRG plan to build a 190-unit senior living community called Fountainwood at Lake Houston on a 7-acre site on the northeast corner of West Lake Houston Parkway and Will Clayton Parkway. Opening is planned in summer 2020. Integral Senior Living will manage the facility, which will provide valet services, multiple dining venues, entertainment and activities areas, a salon and spa, a fitness center, club rooms, theater, meditation garden and a courtyard pool. Dallas-based PRDG provided architectural and engineering services, while Irving-based Ridgemont Commercial Construction is the general contractor. UMB Bank of Dallas provided financing. TNRG and MedCore Partners also developed the 80-unit Spring Cypress Assisted Living and Memory Care community in Cypress last year and are working on a second phase that would add 138 independent living apartment units, hybrid townhomes, and garden homes to the campus.